Wow, yesterday was a huge day for working through guilt. You should be feeling at least 10 pounds lighter… like you should literally get up and do a happy dance. Come on, no one is watching. Turn on some music and dance - or perhaps sing. Day 10 - For today’s challenge, we are switching it up. We want you to get outside your comfort zone. So take out a timer and set the clock for 60 seconds. Play your favorite song and then dance or sing for one whole minute. Go on and do it. Now doesn’t that feel good? Whether you can actually dance or sing doesn’t matter, but you probably smiled or laughed quite a bit for a minute. Some of you though stood there scratching your head in confusion and frustration. You are probably asking the question, “Why did we do this challenge?” Well if you have a personality like Dr. Troy, the OolaGuru, you like consistency and stability and you are super annoyed that day 10 didn’t flow like all the other days. You see, when we’re just living our day-to-day life, we get into a routine. Daily, we make a plan and we work our plan. The reality is that life happens and it can alter what we were expecting and planning and sometimes this can lead to frustration and anger. 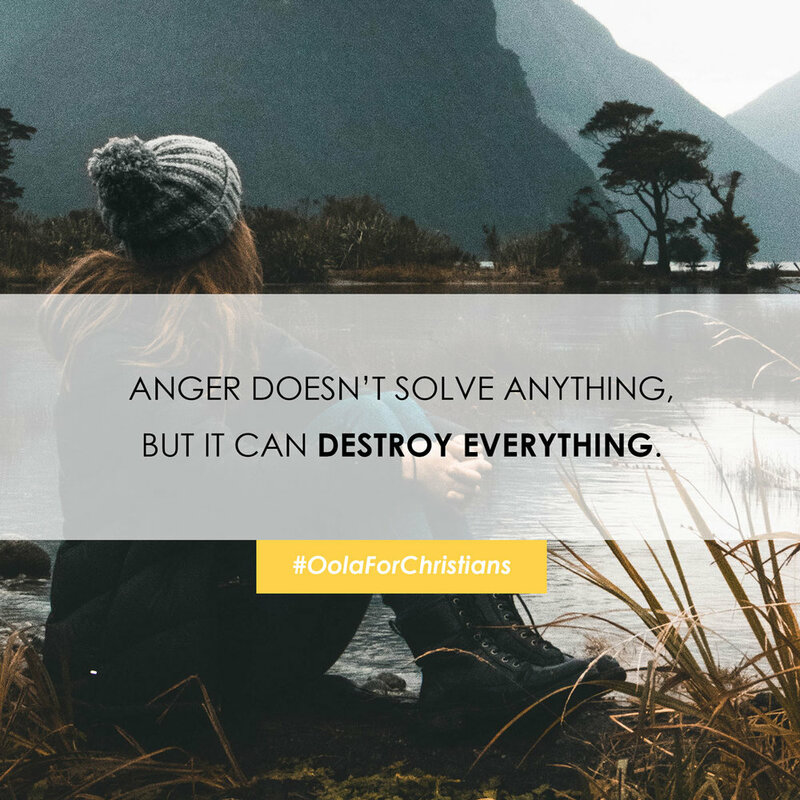 In today’s challenge, we wanted to shake things up and help you to break through the OolaBlocker: ANGER. So, where does anger come from? Anger starts with a distant cousin called “frustration” - a perfectly normal response to life’s crazier moments. But when uncontrolled frustration continues or escalates into heated arguments, obscene language, violent outbursts, accusations, manipulations, or worse, that’s when your anger negatively affects you and everyone around you. If you struggle with frustration and anger towards your children, your spouse, your co-workers or the random person that cut you off in traffic, simply do this: step away and pray. God, I realize that there are no surprises for you. In fact, in chaos and turmoil your son Jesus showed us how to walk in peace. God, today I give you any anger that I have in my heart. I turn over the people or situation today that has been frustrating me. I give up my right to understand and I trade for the peace that has been promised to me.